Can drones replace bees and pollinate flowers? The short answer is yes. The long answer is a bit more complicated though. Flying drones have been used for many years, for many purposes. From investigating secluded and hard to reach areas, to flying cookies. They had many ground-breaking uses, and even children can play with them. Right now, they are even tackling one of the biggest problems of modern day: the possible extinction of bees. Bees are responsible for pollinating flowers. Research shows, that this process is crucial in the process of production. Bees, just like many other insects, birds, butterflies and bats are threatening to disappear. So, could there be an artificial solution to humanity’s problem? Japan might have the answer. 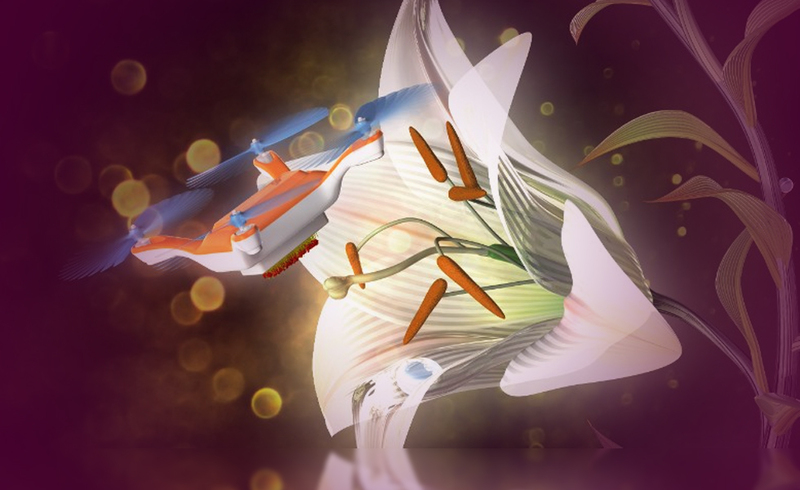 Researchers managed to successfully collect pollen from a lily, using a small drone. The idea was a unique one, just like any invention. They took a $100 drone that anyone could have purchased from their local supermarket. Okay, maybe not, but still, we shouldn’t think about anything big. It’s rather what they did next was what did the trick. The researchers attached horse hair from a brush to the bottom of the drone, then made it ‘sticky’ with gel. So, the drone looked like a bee (at least its bottom part), acted like a bee and even buzzed like a bee and voila, it worked, the lily was pollinated. Although other researchers say that we are still a long way from replacing actual bees. So, what is the future of bees (and drones)? Let’s ask the cards. This card represents the events that lead to such an experiment in the first place. Our world has been shaken up and there is no time to waste. Bees might not be extinct yet, but tragedy happened and their numbers are limited. We need to move on and find a solution now. Artificial bees might just be the thing. Two of Pentacles: There needs to be a balance. As well as looking for a suitable replacement, we need to find a way to save the natural ‘thing’, too. Should a replacement be our first priority, while the species can still be saved? This is again a double-edged situation. In the right hands, this invention could turn into a great thing. However, that power needs to be used wisely and carefully. Timea is a Psychic and Intuitive Empath, who uses her natural gifts along with her studies in Traditional Reiki to guide you through the process of self-healing. She is here to help you awaken your inner self. Previous ArticleTrump photobombs Clinton – or other way around?Next ArticleWhy did the Statue of Liberty go dark? Is Friday The 13th Really An Unlucky Day? 7th Sense Stories is your source for daily articles on psychic life, spiritual, metaphysical subjects, love, romance, relationships, mindfulness and so much more.